This Impressive Corner Brick Colonial Enjoys Over 2,200 Sf Of Living Space. 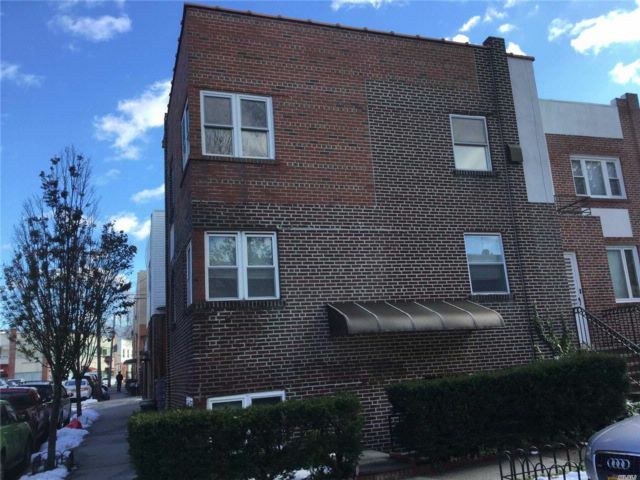 1st & 2nd Floor Comprise A Wonderful 3 Bedroom Duplex With 2 Separates And 2 Full Baths Entrances. Top Floor Is A 3 Room, 1 Bedroom Very Spacious Apartment. Many Windows And Closets Throughout. Beautiful Hardwood Floors. Updated Heating System. Close To All Shopping & Transportation. Delivered Vacant On Title.